Want to know how to become a meditation teacher? Training to be the next Thich Nhat Hanh? Want to know if you need to be certified to teach meditation? I’ll cover all that and more in this guide. Do You Need A Meditation Teacher Training Certification? What type of meditation will you teach? You can succeed as a meditation teacher. Certification can help you along the way, if you want to take a meditation teacher training course, but honestly, they are not necessary and are often a waste of time and money. Speaking of money. Yes, you can make money teaching meditation. And you can make a difference in your students’ lives. Especially if you’re the type of person who people look for in a meditation teacher. But let me warn you: When it comes to training to be a meditation teacher, you need to dodge the sharks. Because while there are some good meditation certification courses (like this one), most of them are money-traps. Let me show you how to become a meditation teacher for real. Today, meditation is a lucrative industry. And there are lots of predatory websites charging lofty fees for meditation teacher training courses. Take a look at a few online meditation teacher training courses and you will find a whole bunch of fraudulent websites. These websites will tell you that you can become a meditation teacher, and all you have to do is pay them a few thousand dollars to learn. Shockingly, lots of these meditation teacher-training courses don’t even have the qualification to be training you at all! So called “meditation teacher training sites” are often run by unqualified people who simply compile a bunch of information from various books and reorganise it into an online course. Let me save you a lot of money and a lot of heartache by saying this: do not sign up to any online meditation teacher training course. They are invariably woefully inadequate and will not help you to become a meditation teacher. Here’s how to become a meditation teacher for real. A lot of people have asked me: Do you need to be certified to teach meditation? This is one of the main things to consider when you’re working out how to become a meditation teacher. The laws about this varies by country. In Canada you do not need to have any kind of official meditation teacher training certification. The main reason to become a certified meditation teacher is because it legitimises your business and it also makes it much easier to work with insurance companies (which is important). 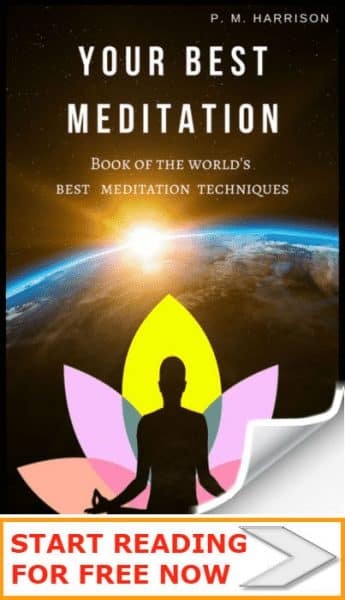 Therefore, you may want to become a certified meditation teacher if there is a good meditation teacher training course available in your country and you can afford it. For instance, in Australia there is the Meditation Teachers Association, which is a highly reputable organisation. There is no official meditation association in America that I am aware of. *In most counties you do not need to be certified to teach meditation. If you want to teach meditation, training should be based on your eventual audience. In other words, if you want to teach children to meditate. focus on that. Teaching is a business. Like any other business, it has different markets which in turn have different demands. Explaining meditation to children, for instance, is radically different to teaching the elderly, which is radically different to teaching meditation for health reasons, such as in cognitive behavioural therapy. Who do you want to teach to? Do you want to teach meditation to beginners? If you want to learn to teach meditation to beginners, you will have to have a certain set of skills. You will need to be able to express yourself clearly so that your students can fully understand your teaching. Do you want to teach intermediate / advanced meditators? If so you will need to know practically every aspect of meditation. Intermediate meditators are looking for people to take them to the next level, to advance their skills. Do you want to teach children? Teaching children requires a lot of patience, a friendly attitude, and very good communication skills, because, let’s face it, children often do not listen; your ability to teach children will be determined by your ability to communicate with them. Speaking from a purely business perspective, your target audience is also going to affect your marketing. You will need different business cards, different advertising, and different sources of students depending on your target audience. So, decide precisely whom you wish to teach. It’s hard to know how to become a meditation teacher until you’ve made this fundamental decision. How To Become A Meditation Teacher 2: What Type of Meditation? If you want to do meditation teacher training, you need to know what type of meditation you want to teach. This decision will be based on your target audience. Decide who you want to teach. Then decide what type of meditation will be best for them. There are more than 30 types of meditation, and if you include all Buddhist techniques that number goes to more than 700. That’s a lot of meditation techniques. If you are already particularly knowledgeable about a certain type of meditation, go with that one. If you are currently undecided you may wish to take a look at the different types of meditation using the link in the point above. This technique is trademarked, meaning it is owned by someone (specifically, Maharishi Mahesh Yogi). TM is something many people are interested in, mostly because of the number of celebrities who advocate the technique. However, to legally teach Transcendental Meditation you must take a Transcendental Meditation teacher training course. This costs thousands. You can learn about Transcendental Meditation here. In my experience, this is one of the most popular types of meditation to teach. Many students don’t want to actually learn, they just want to relax. By guiding a student though a visualisation you essentially give them the opportunity to relax without doing much work. This is also, in many ways, an easy technique to teach simply because you yourself are in complete control of the meditation, rather than being reliant on the student to focus (if you remember, focusing the mind is not very easy when you are new to meditation). Guided meditations are a very easy choice for both teacher and student. In order to teach Zen meditation you will need to know the specific postures that are used to create different results. Students interested in Zen are also going to want to know about the history of Zen, so be sure to brush up on that before beginning. You can learn more about Zen here. Osho and dynamic meditation use physical activity, which ranges from dance to walking. Because of its physical nature, there are some risks with dynamic meditation that can affect the business. Because it is possible for someone to injure themselves while practising dynamic meditation, you will need to make sure that whatever meditation insurance you get covers such injuries (otherwise you could end up on the receiving end of a very hefty lawsuit which will completely obliterate your business). You can learn more about dynamic meditation here. The above are just a few of the possible options. Pick the type you wish to teach and focus on that type. If you are teaching beginners, you might instead choose to give basic instruction on a variety of techniques. 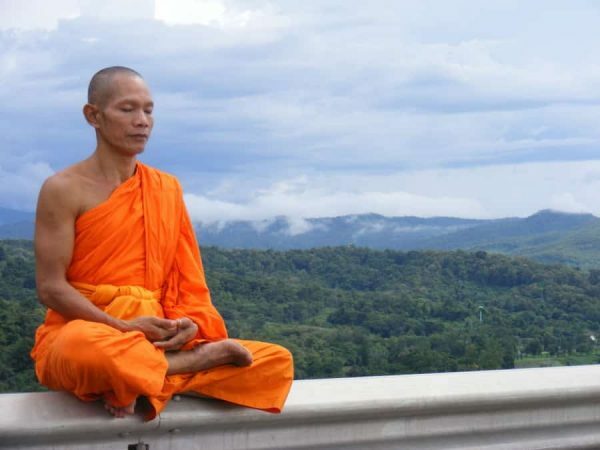 You might find this guide to the basics of meditation helpful. To become a meditation teacher you must have once been a meditation student. You have to learn meditation before you can teach meditation. It is important that you have properly studied before you teach. You wouldn’t want to lean piano from someone who hasn’t leaned to play the piano; meditation students want to know that their teacher knows what they are talking about. Even if you intend to teach just one type of meditation, I recommend you study a variety of techniques. After all, it is only natural that a student leaning one type of meditation will have some interest about other techniques. If you are unable to discuss other techniques with your students, they are unlikely to take you seriously and they probably won’t return another lesson. Finding a student can be hard work, so it’s just as well that you do everything to ensure that any student you find wants to return for more lessons. Knowing your subject thoroughly is a huge part of this. If you want to teach meditation, make sure you know your stuff. Have you learnt the various techniques? Have you studied the history? Have you been to seminars or taken lessons with meditation masters? Have you studied under these spiritual gurus? What qualifies you to teach? Students will ask what makes you qualified to teach meditation. You should be prepared to answer. Your past experience will become your resume. Your experience gives you credibility as a meditation teacher. It helps to create a positive perception of your teaching, equating to your students’ desire to continue to lean from you. The only way to ensure repeat visits from a student, and thereby to steadily increase your business, is to make sure that you know what you are talking about. There will be other meditation teachers in you area. The vast majority of them (if they have been following their own teachings) will be nice, friendly and helpful people. Get to know them. Take one of their lessons. You will learn a ton. And they will appreciate you taking their lesson. It shows interest. It gives them a return. They receive a bit of cash. And you receive a lot of leaning. It’s a fair trade. By reaching out to other teachers in your area you also get to learn about your local scene. This is also a great way to find some students. Perhaps there is a Zen teacher who has a student who is interested in leaning about Transcendental Meditation; they could refer their student to you, if you have experience of TM, and in exchange you could refer your students who are interested in Zen, to them. Mutual benefit, and everyone is happy. There is no legal requirement to become a certified meditation teacher. However, there are many benefits of certification, most notably that it proves your validity to potential clients. Some courses are great, too. For instance, the University of Toronto’s meditation teacher training course is excellent (check it out here). That said, play it smart when choosing a course, especially if you want to do an online meditation teacher training course. I started this article by warning you about many websites online that offer meditation certification. This is an important warning. If you do not do your research, if you do not learn about the different options for certification, you will end up choosing incorrectly and will waste your money. Take time to learn about the different types of meditation certification programs and find out if one of them is particularly valuable to you—is there a meditation teacher training course that specifically caters for the type of meditation you wish to teach? Great! Get certified, prove yourself to students and give your business validity. One of the good things about taking a course, even if it’s an online meditation teacher training course, is that it will help you to find insurance. You are going to need to find insurance before beginning to teach meditation. If you do not, you could very well end up with an accident that leads to a lawsuit that completely destroys your business. (And yes, accidents can happen in meditation. Take a look at these serious health risks of meditation). The good news about insurance for teaching meditation is that it is easy to get and it is cheap. When I called up the insurance company to workout my own insurance, I was simply asked to document the type of tuition and experiences I myself have (eg. had I gone to seminars, taken courses, had experience in teaching, read book, etc.). Compared to many other holistic teaching positions, finding insurance for meditation teaching is very easy. To become a meditation teacher you will have to find or create a meditation space. People want to learn meditation in a space that is relaxing and therapeutic. You need to make sure that the meditation space you provide for your students is relaxing and looks the part. Get statues, paintings, maybe a water feature, etc. Make sure the space looks great. Do everything listed in my guide to creating a meditation space (the link is above). Remember, students will only return for a second lessons if they enjoyed the first. And a huge part of enjoying the lesson is being in the right space. So remember while you’re paying for that online meditation teacher training course: You need to save money for your space, too. Your spatial requirements will vary based on the group size that you want to teach. If you’re teaching to 10-15 people, you’re probably going to need a hall. If you’re teaching to individuals, you can probably do it in your home. You can also offer to teach at the student’s home, but there are setbacks to this. Many people aren’t comfortable with the idea of having a strange come over to teach them meditation; many don’t have the right space; and, of course, if you need to travel it’ll take time and money. It’s a lot easier if you have the right space set up in your own home or in a local facility. You are going to need to have all the most important meditation tools. The exact tools may vary depending on the type of meditation you’re teaching. If you’re giving guided visualisations, for instance, you are going to need a way of playing music. Yes, your iPhone and speakers will do the trick, but does that look professional? Probably not. And you might also need some amazing meditation music. If you’re going to be teaching Osho meditation or Zen meditation you will need mats for both yourself and your student to use. Not only is it more comfortable, but should a student get injured and you need your insurance company to cover, the insurer is going to want to know that you had everything set up properly—let’s be honest, insurers will do anything in their power to avoid paying out; don’t give them an excuse not to honor their agreement. Regardless of what type of meditation you teach your will definitely want a meditation cushion. Some of your students will want to sit down from time to time (do not expect them to sit on the floor or stand up. And besides, you want to look great. Take pride in your branding by making your meditation space look amazing. Other materials that you may need include a mala (selling these can net you extra profit), Tibetan singing bowls, Buddha statues and so on. You might not end up actually using these materials in the actual lesson, but simply having them their for the student to see provides the right sort of image, helping to validate your business in the eyes of your clients. Also, make sure you have the right sort of lighting. Meditation should always be practiced in correct lighting. Too much light can create headaches and distract the mind. Too dim lighting could cause fatigue. If you’re a creative person you’ll love marketing. You’re going to need business cards, perhaps flyers or brochures, and other marketing materials. The design of these materials is important and will be determined by your target audience and by the type of meditation you want to teach. Always keep in mind the audience and their needs. If, for instance, you are teaching meditation purely for health, your marketing materials should show an individual who is clearly healthy (hopefully yourself), or should convey health in some other ways, through the use of iconography and symbolism, for instance. Your marketing materials should clearly show your target audience. Marketing to Zoomers? Make sure your marketing reflects that. what the student is going to get out of your tuition. Are you teaching elderly people to do breathing meditation? Then show that in your marketing materials. Obviously, it should go without saying, that you need to put your details on the card: your phone number, address, your name and the name of your business. Pro tip: order marketing materials in bulk. It’s cheaper and saves you time in the long run. There are two key types of advertising that you should make use of. 2: Media (you can start by working with me on a sponsored post if you like). Tell your friends, you family, your colleagues and everyone else that you are teaching meditation. Give them your marketing materials. People who are close to you will want to help you. You may find that a friend or family member either wants to lean to meditate themselves or knows someone who does; that’s your first and most important client right there. Give that one client the best lesson ever and they’ll talk about it, word will spread, and with a little bit of luck you’ll have a successful business on your hands. The second type of advertising is via the media. Grab your local newspapers, call their advertising department and find out how much it costs for an ad. It may or may not be worth it depending on price and readership. There is an alternative to this. If you, like myself, happen to be a writer, find some way of making your business news story. You could put on a local event or you could just share an interesting story. Write it up, send it to the editor, and if you’re a good writer and a little lucky you could end up with some excellent free advertising. Websites offer advertising too (this site included. We offer advertising in the precise niche you want to work in so trust me you definitely want to take a look at our advertising opportunities). You want to be the best meditation teacher ever, right? You want your students raving about you. The best way to do that is to make sure that you only start with a few students, or with a number that you can easily manage. Build your audience gradually, so that you can be certain to always provide quality tuition. Start with just a few students. Pour your love and passion into every lesson. Leave your students thinking “Damn! That was amaze-balls.” That way you will be proud of yourself. And your students will love you. I hope you have enjoyed this guide to becoming a meditation teacher. I’d love to hear your thoughts. Excellent. article! I read it knowing nothing, and seriously underestimating what it takes to be a meditation teacher. Now I have a much richer understanding of what it takes, but am even more interested than I was before. Thanks for the great info!